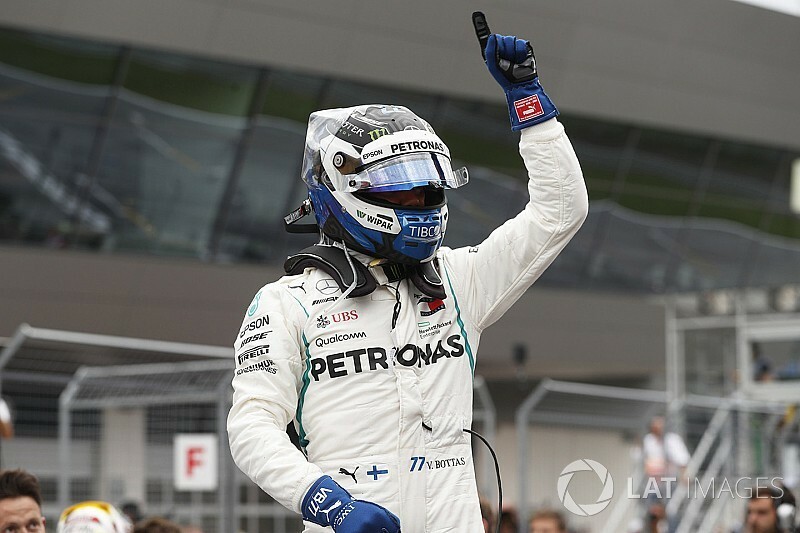 Mercedes driver Valtteri Bottas claimed his first pole position of the 2018 Formula 1 season in qualifying for the Austrian Grand Prix. Bottas, whose last pole position came in last year's season finale in Abu Dhabi, hit the front in the Q3 top 10 shootout with a lap of 1m03.264s on his first run – almost half-a-second faster than nearest rival Kimi Raikkonen. Teammate Lewis Hamilton ran deep into the Turn 3 hairpin on his first run and ended up third on first runs, but the final runs turned into a shootout between the two Mercedes drivers. On his final lap, Bottas shaded Hamilton in the first and third sector, with Hamilton only two thousandths faster in the middle sector – adding up to pole position by 19 thousandths of a second. Sebastian Vettel made a mistake on his first Q3 attempt but jumped from seventh to third on his final run ahead of teammate Kimi Raikkonen. The Ferraris will start tomorrow's race on the ultrasoft tyres, having used them to set their Q2 times, while Hamilton and Bottas will have supersofts. Red Bull drivers Max Verstappen and Daniel Ricciardo were fifth and seventh, having made three attempts in Q3 after using supersofts to set their Q2 times. They were split by the Haas of Romain Grosjean. Kevin Magnussen, in the second Haas, took eighth place ahead of Renault pairing Carlos Sainz Jr and Nico Hulkenberg. Esteban Ocon ended up 11th after his final Q2 lap fell almost two tenths of a second short of beating Hulkenberg, who improved by enough on his second run to jump ahead of the Force India. Toro Rosso driver Pierre Gasly failed to improve on his second attempt and ended up 12th ahead of the Sauber of Charles Leclerc, who only found 0.003s on his final flier. 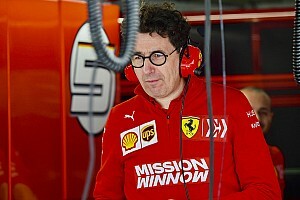 Leclerc has been hit with a five-place grid penalty after suffering a gearbox failure in FP3, meaning he is set to start 18th. 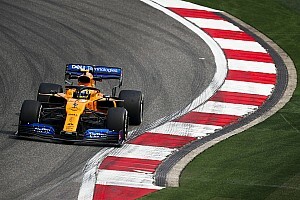 McLaren's Fernando Alonso qualified 14th, but will start 13th as a result of Leclerc's penalty. Williams driver Lance Stroll, who did a good job to make Q2 for the first time since the Azerbaijan Grand Prix two months ago rounded out the top 15. Stoffel Vandoorne was quickest of the drivers eliminated in Q1 thanks to Stroll's last-minute lap relegating him to 16th place. Vandoorne was one of a number of drivers whose final attempt was compromised by yellow flags in the middle sector, with Leclerc's Sauber causing one by a visit through the Turn 4 gravel trap, although his first sector time was down on his personal best having also complained about traffic. Force India's Sergio Perez was 17th, with radio messages suggesting he had some kind of energy recovery problem that possibly restricted his available power at least on his first run. 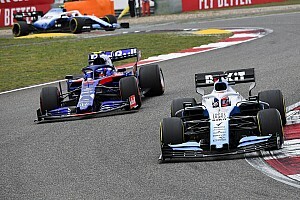 Williams driver Sergey Sirotkin had set his personal best first sector when the yellow flags hit in the middle sector, meaning he ended up 18th after three runs. Toro Rosso's Brendon Hartley also completed three runs, but he was unable to improve on his final run after falling short of his previous best by 0.013s. Sauber driver Marcus Ericsson was slowest, a tenth of a second off Hartley after he had to abandon his final lap having set his personal best first sector. Ricciardo says Verstappen qualifying tactics not "fair"